Not happy with your singing voice? Well, you're in good company. Ninety-Eight percent of everyone on the planet feels the same way. And let's get one thing clear. You don't have to be born with a great voice to sing with a great voice. Singers have come to me with little or no training. All they had was a dream and a desire to improve their singing. With that dream and a desire to work hard on just the right vocal exercises, dramatic results were soon recognized. In fact, some of these dedicated singers have ended up with lead singing roles in Broadway Musicals as well as stints on television's American Idol and America's Got Talent. A few even landed jobs on cruise ships as singers, started their own groups and make a decent living. The point is - anyone can sing with a better voice and improve upon their present sound as long as they know what to do. You'll notice a difference in your singing right away with the following key elements as I present them to you.. I'm excited about sharing these singing secrets with you, because they work! Isn't it time for you to apply these proven singing tips to your own voice? Just follow these 10 top singing secrets and I guarantee you'll be singing better than ever. Incorporate a passion for singing. German Philosopher, Georg Willhelm Friedrich Hegel said, "Nothing great in the world has been accomplished without passion.” Get excited about learning good vocal tips and techniques. I promise you that if you do this you will reach your goal. Use your passion to feel the emotion surrounding the lyrics of the song. Open your mouth and don't be embarrassed to do so. How can you project sound with your mouth barely open? Your mouth is the gateway to your singing. So free your tone by generously opening your mouth. 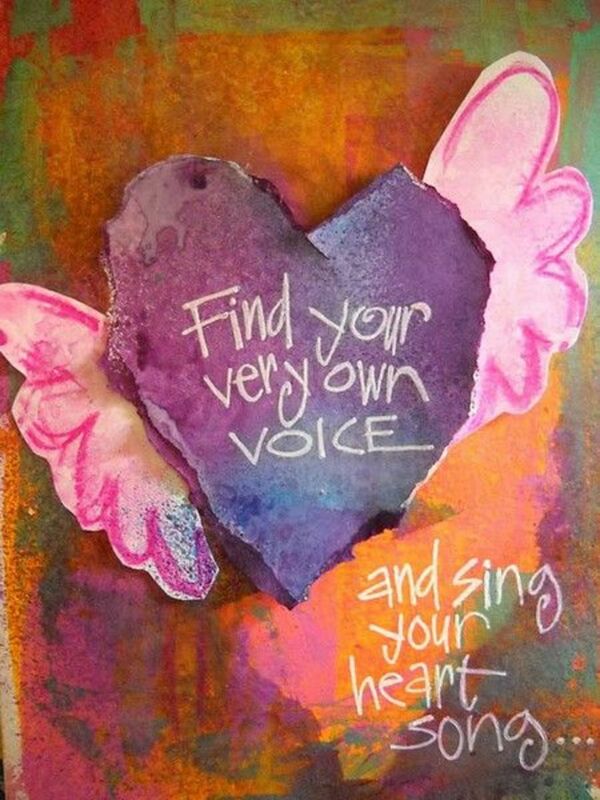 Sing songs that are within your vocal range. I can't tell you how many vocalists make the mistake of choosing songs that are too high or too low for their voice. They end up straining the vocal bands (chords) causing a hoarse voice or sore throat. Transpose any material to fit your vocal range. If it's a stretch to hit those high notes, the key that the song is written in is wrong for you. Rid your body of tension. A tense neck, facial muscles (including the tongue), and shoulder area will most certainly cause tension in the tone. You don't want that! Release body tension by doing the rag doll exercise before you sing. This includes practice time as well. Step 2. Tuck the chin into the chest Step 3. Begin rolling the body down toward the feet. Exhale your air very slow, just a little bit at a time. Step 4. 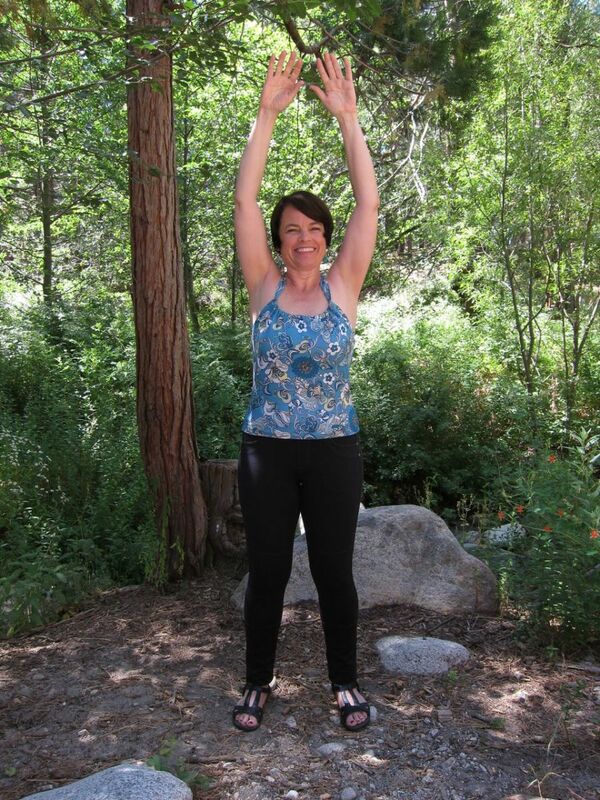 Continue releasing tension in your neck and shoulders as you drop down further. Before continuing with the next 6 top singing secrets for a better voice, take a quick break with me. Your body will love you for doing this and your mind will be more clear and focused. Here's all you have to do. In a standing position, take in a big breath of air and hold it while bringing your arms straight above your head. Still holding your breath, slowly bring your arms dow to your side and tuck your chin into your chest. Release your breath very, very slow as you lower your body one vertebrae at a time. Continue rolling down-ward as pictured in the rag doll photo above. When your fingertips are at ankle level, take another big breath and slowly allow the breath to escape as you roll the body back up. Note: DO NOT extend your neck as you roll your body down-ward. Allow it to hang loosely in a complete relaxed position. Why is it so important to release tension before singing? For one thing, if your body is holding tension particularly around the shoulder and neck area, you can bet that this same tension will be transferred to your singing. Tension keeps the voice from sounding relaxed and pleasing. And speaking of tension please remember to keep your tongue relaxed as you sing. Practicing a few tongue trill is an excellent exercise just before singing. If you find that you can't execute tongue trills, this is a sign that your tongue is holding too much tension. Take a deep breath and trill the tongue, holding the trill as long as you can. Pretend you're making the sound of a motor boat. Repeat several times. Then trill from a low to a high sound, as if you were singing a scale. Try to hold the trill throughout the scale ascending and descending. The correct position for the tongue is to rest on the floor of the mouth with the tip touching the lower front teeth. Congratulations! You've now completed one of the best exercises on the planet. The more you practice the rag doll, the easier it will be. And now that you're nice and relaxed let's continue with more exciting singing secrets and tips.. This easy step-by-step lesson will have you breathing from the diaphragm in no time. Here's your own private lesson on learning how to use your diaphragmatic muscle. Using this area of the body for inhalation and exhalation will give you an edge for better singing. Want to increase your vocal range? You absolutely need to breath this way to reach those high notes. And that's not all this way of breathing will do for you. You'll enjoy improved health and live longer as well. 5. When you sing, do not breathe the same way you do when you speak. It won't work. Why? Because singing is sustained speech. So more air is required. To breathe in (inhale) enough air to help you sing a phrase all in one breath, the air must come from a muscle found below your ribcage called the diaphragm. This type of breathing is also referred to as the belly breath. I've included a link to my article on how to learn to breathe using the diaphragm. Please refer to this step-by-step lesson after you've completed step 10. 6. Tune-up your voice. Always give your voice a tune-up before singing. When you warm up your voice with the right exercises it's like giving your voice insurance. You will be assured that your voice won't crack or break during singing. Vocal warm-ups will help to keep your voice flexible for those great runs you love to do. 7. Avoid dairy products as these foods will produce phlegm in your throat. Also, don't drink cold beverages or have ice. This will cause your tone to be restricted when you sing. 8. Stop pushing your voice. With just this tip alone, your tone quality will improve drastically. You'll hear an immediate improvement in your singing. When you stop forcing your singing, the tension and strain will disappear like magic. 9. Believe in yourself. That's right! Regardless of what others may say about your singing, you must remain confident. Confidence in yourself will result in a confident, better sound. 10.Learn as much as you possibly can about singing techniques. There's a quote that I have always lived by and have taught to my students. "Technique will set you free." What exactly does this mean? A vocal break or cracking during singing. Inability to reach high notes. Inability to control our singing. Singing without expression and feeling. Every single flaw listed above can be corrected as you apply these 10 top singing secrets. Men and women have different size vocal cords (folds.) The male vocal folds measured vertically are between 17 mm and 25 mm in length. The female vocal folds are between 12.5 mm and 17.5 mm in length. It's because of the difference in size that causes a difference in the vocal pitch. The oldest known account of singing that is verified is about the 3rd millennium BC. When we sing, our sound comes out of our mouths at approximately 75 miles per hour. And it's 1/2200 second from the time the sound is made until it exits your mouth. Singing should bring us joy no matter what kind of voice we have. We can all improve and in fact improvement should be a life-time goal. And shame on any of us who give up on our singing. Rehearse (practice) daily. Our bodies change over time and we can lose control when we sing. This is one reason practicing often will help our voices to improve for the better. Keep your emotions in check. Your emotional health affects your singing. If you're locked up inside, your voice can't respond. You may need to re-write your internal dialogue. Negativity brings fear and doubt. Practice positive, supportive inner-dialogue. Singing should bring you joy above all else. Try to avoid being judgmental and critical. Stop comparing your voice to other singers. Sing for the joy of singing! Birthplace of Jazz Great, Louis Armstrong. Hi Liz. Great to see you. About being tone deaf. This term has come to indicate that some of us sing 'off-key.' With the right practice and guidance we can all learn to sing 'on-key' and avoid being classified as tone deaf. One of the biggest misconceptions as far as singing goes is that we either sing with excellent pitch, in which case we are classified as a singer, or that "we can't carry a tune in a bucket." Wrong! I've had hundreds of singers that were classified as 'tone deaf' study ear-training with me and proven to develop 'relative pitch' which mimics perfect pitch. In other words, classifying someone with poor pitch or tone deafness is a bunch of gobbaly-goop unless they are born with specific brain processing problem. Even then, some learn to sing on key. There are also temporary causes for poor pitch. Nerves, fear etc. The voice never goes bye-bye. As long as we can speak, we can sing. It's a matter of control and education. So, brush off that karaoke engine and sing! Get a good feel for the rhythm by using your whole body...clap your hands, dance, etc. Is there really such a thing as being 'tone deaf?' My mother swore up and down that a girl in her high school choir was; no matter how hard the girl tried, she just could not hit any note correctly. Hello Reynold Jay. So nice to hear from you again. I value your comments. It's such a pleasure to share experiences with another music teacher like yourself. Thanks a lot. Hi Audrey, We have led similar lives as teachers of music. Well done set of articles!! GmaGoldie - I'm happy to see you and thank you for the lovely comments. Take care. 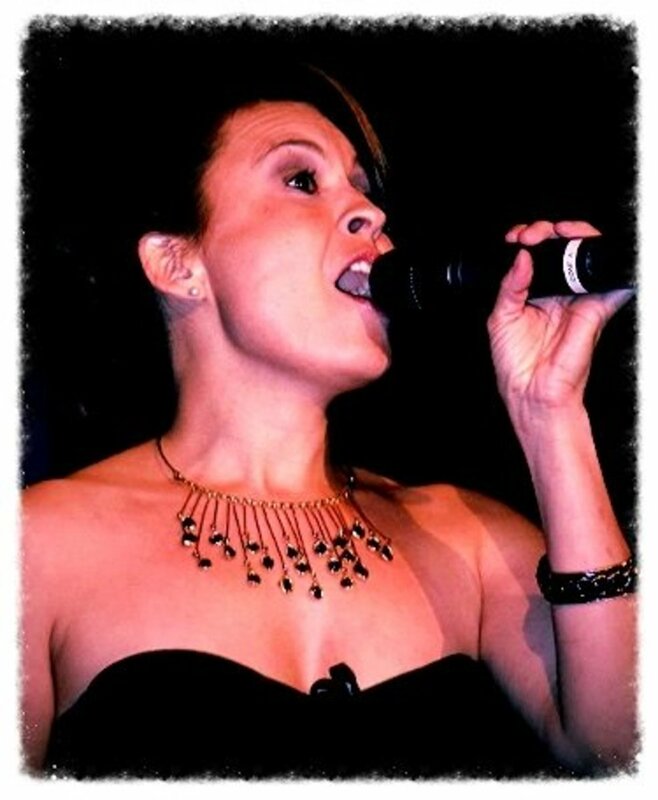 Singing is sensational for the soul! Beautiful hub! Oh, the dreaded dairy products that I simply refuse to give up! Well thank you strictlydating. So nice of you to leave me this comment. Enjoy your day. Wow! You certainly know your stuff. Great read. Great pictures too. drbj - Hello my friend. How nice of you to mention that my tips are also useful for speakers. Coming from a professional speaker and published author like yourself, it means a lot! Take good care now. Thanks! Dear Audrey - I have always had a great voice . . . in the shower. Elsewhere . . . not so much. But your tips are priceless and as useful for speakers as they are for singers. Thank you, m'dear, for imparting your knowledge so painlessly. Thanks Genna for your comments. Any damage done to your vocal bands due to smoking can usually be taken care of depending on the amount of damage. And I've helped thousands to sing well in spite of past smoking. Not only can your voice be restored, it can be come better-than-ever. I'm here when you need me. Thanks, my friend. You haven't lost it my dear, maybe just mis-placed it! Now, get busy and sing-along with your favorite song. Hugs, Audrey. Oh, how wise you are! I'm just finishing up a new hub on the Health Benefits of Humming. Be sure to check it out. This hub confirms exactly what you've said. Thanks! Singing will help stress. Relieve all those emotions locked up inside - anger, frustration, pain, etc. Singing from an emotional state is more helpful than therapy. :) Take it from one who knows. Your teacher of voice was right on! Yawning in a descending glissando does wonders for the voice. In fact, one reason you were yawning during singing is because this puts you in a relaxed state. About the "head voice." Try barking (yelping) like a puppy dog 3-4 times in succession. Don't try to hurl your voice into the head, just pretend you're an adorable little puppy and start barking. I know it sounds weird, but it works! Remember to support the "bark" with plenty of air. Don't hurt your voice. If you need help, contact me. Mickey!!! What a joy to see you again my friend. Where have you been? How are you? Happy you're back and thanks for being here. Nice as you always are. But, looking over your tips, I am reminded of some of the exercises a college vocal instructor had us do. It was an informal class, "class voice" was the title, and she made every effort to keep everyone comfortable, right down to inviting everyone to her own home for a potluck for finals. Great teacher notwithstanding, I never did master the "head voice" thing. And, I must still be doing something wrong with my breathing, for it is rare for me to be able to sing all the way through a song without ending up being interrupted by an uncontrollable yawn! Great information. I am beginning to think that singing is far more than just an enjoyable pastime but in fact a health bringer for all sorts of conditions. Asthma is known to interfere with singing due to the large amounts of air that we use upon inhalation. I'm glad to know you like to sing and will use some of these suggestions. Let me know if you need my help. Thanks Pamela! I use to sing in the church choir when I was young, but that was before I realized I didn't sing very well. I have had asthma much of my life and that is part of the reason. I think you suggestions are great, and since I do sing when I am at church and blend in with the whole crowd, maybe I will improve! Thanks for the great suggestions. Oh Deborah, I wish I could get you in my studio. I KNOW I would have you singing on key in no time. So you keep singing and have fun doing it. You've heard it before, but sadly I don't have much of a singing voice at all. However I love to sing and will keep on doing it. Now maybe if I follow these tips I'll be able to sing in front of other folks. I love this hub, it's very inspiring. You are too kind to give my articles on singing credit for your improvement musically. It is YOU who deserves the credit. Hey Audrey, I never really thought about the similarities between an instrument's voice and the human voice. I think I have mentioned to you before that I had begun playing the ocarina. I ran out of breath before I wanted to, the music had no depth or "texture." I began to read your hubs and noticing the people around me that everyone seemed to thing could sing. Pondering a bit I knew that blowing into the vocal part of an instrument is very similar to singing. This article too, has much I can use. Of course, I can't open my mouth but I have to open my lungs. I began to use the inhaling tool that I brought home from the hospital from my last surgery. I inhale in the tube and it helps me open up the volume in my lungs. I began to imitate the vibrato of singers when playing. And found that my music took on texture and depth. Now when I do sing I imitate the things learned through playing the vessel flute. It is stronger. And I owe much of it to you and your articles. Thank you. Voted up and useful. Bob. You must get back to singing! Replenish your soul with passion. You deserve this and you miss singing. Avoid comparing your present singing sound with how you once sounded. And the more you sing with joy, the more your singing will flourish. I'm thrilled to have a visit from you. Sending you love and hugs. Your beautiful comments are a song to my heart. I appreciate the way you use detail to describe your thoughts. Thank you for your constant support of my work. This is important. I'm sure that by your vote up and sharing on HP others will be motivated to try these singing tips and gain confidence as their voices improve. It's a treat to see you again Tina. I hope all is beautiful in your world. Yes, open your mouth and allow your singing to fill the shower! You'll like what you hear. Shower singing is the best. In the shower the acoustics are grand. With the body relaxed from the warm water soaking into the skin, singing improves automatically. So, sing, sweet friend - sing! Your voice is what it is - neither good or bad. As a beginner you are in an excellent position to build and develop your singing. I thank you for reading my tips on singing. These tips will become your friends as you welcome them on a daily basis. Thank you for your comments. I look forward to seeing you again and I'll treat myself to your hubs. I sometimes like to sing, but I don't have a good voice. I'm a beginner and I find your tips awesome. Great tips and a very informative hub, Audrey. I used to sing in a choir when I was younger and I enjoyed it since the singing made me feel good. Now, I only sing when I am alone or in the shower! I will start with the exercise to open my mouth when I sing in the shower and see if I still have a voice and then I will continue to sing for joy and fun. Thanks for sharing these great advices! Some very important tips for singers! You always provide useful suggestions, which should be followed by those who want to improve their singing. It is very thoughtful of you to address those common issues and problems, that a singer usually faces, for example throat, lack of confidence, breathing and others. Thanks for sharing your expert advice! Voted up and shared on HP! Thanks my friend for your comments and visit to my hub. Shower singing is the best :) The rag doll exercise is helpful for relaxing those tired muscles. Just be sure to keep the knees bent as you stretch toward your toes. Don't bend any further than is comfortable. Thanks for your votes and for sharing. Take care Peggy. Thank you for sharing all the information and tips, Audrey. This is a useful hub! Hi my friend ! I just had to read this article. I used to sing all the time. Specially to my children when they where little. Lullaby after another, even my husband would stay to listen. Funny. After years of being soprano in the church choir, my voice changed when I got sick. Since I never had the opportunity to take lessons, I stepped down.This is so painful for me, because I love music. There is something about words and music that transcends everything else.To sing notes, the vibration and emotion of the song relaxes me in ways that I can't replicate. Is the only part of my soul that has been silent. I miss it. Singing is such a joyful experience which I have always enjoyed. I am best these days in the shower. Ha! That rag doll exercise is one that I will try doing daily just to relieve tension in my neck and shoulders. Informative hub. Many up votes + will share. I always enjoy a visit from you. Your comments are interesting and helpful. 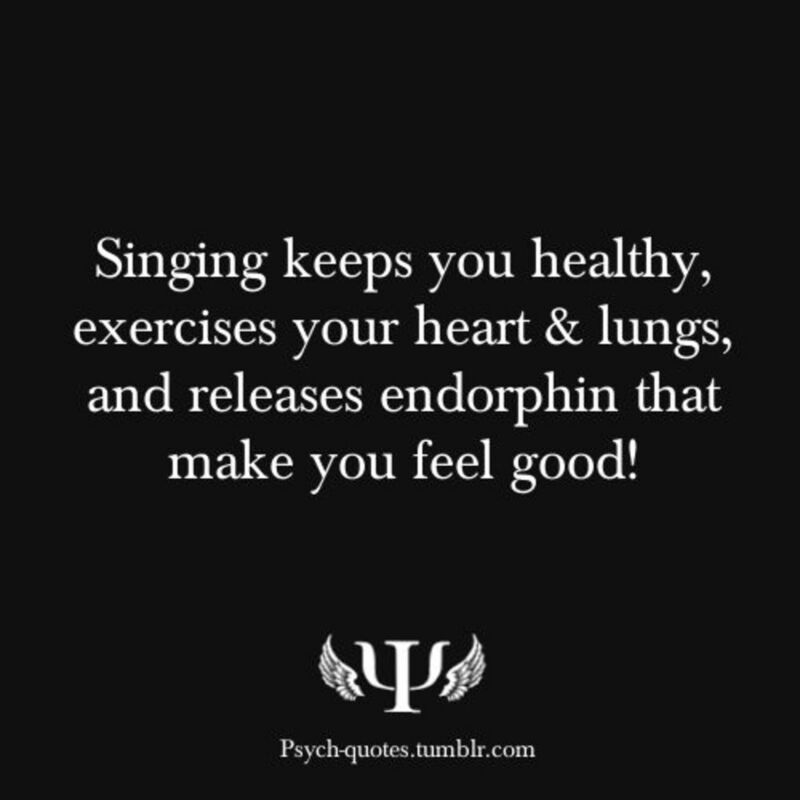 You mention that singing always makes us feel better - and it truly does. Thank you for liking my vocal lessons. Thanks for your uplifting comments. I appreciate your sharing a personal experience. Keep on singing! Have I ever mentioned how much I like your pen name, "always exploring?" It would be a good fit for me as I always welcome learning anything new. Thanks for going through the rag doll exercise. You're right about how this exercise benefits all - singers or non-singers. Thank you for the nice compliment and for sharing and tweeting. Keep on singing my lovely friend! Good girl! Opening the mouth more helps the singing voice in many ways. Thanks for reading and commenting! Great advice Audrey. I love to sing but other than church I never do it publicly. I suppose I wouldn't mind being better at church though and have been practicing the mouth more open tip. I think it does help! Me sing? Seriously, I did the rag doll exercise and was amazed how the tention left my body. This is great whether you want to sing or just relax. I do sing around the house and of course, in the shower. You are a great teacher Audrey. Thank you for sharing.. Tweeted. I enjoy singing for my own pleasure and find it quite emotional. It lifts my spirits. Your tips are interesting and the exercises beneficial for anyone I think. Reading this puts me in a good mood without even singing; thank you. Yes, Sha, the difference in vocal cord size also affects the speaking voice. We can change our speaking voice like we alter our singing voice. This is obvious in the variety of acting roles seen in both film and theater. I watched AI as well last night. Good thing I'm not a judge. I'm afraid I wouldn't be as forgiving for some of those voices. I am so excited about starting my book on singing. Thanks Bill. So good to see you here Carola. Thanks for reading my hub and leaving comments.! I love your vocal lessons! They are great advice for living a better life! I especially like the part about taking care of our emotional health. When we don't feel good about ourselves, singing is difficult. Singing can also help us feel better. 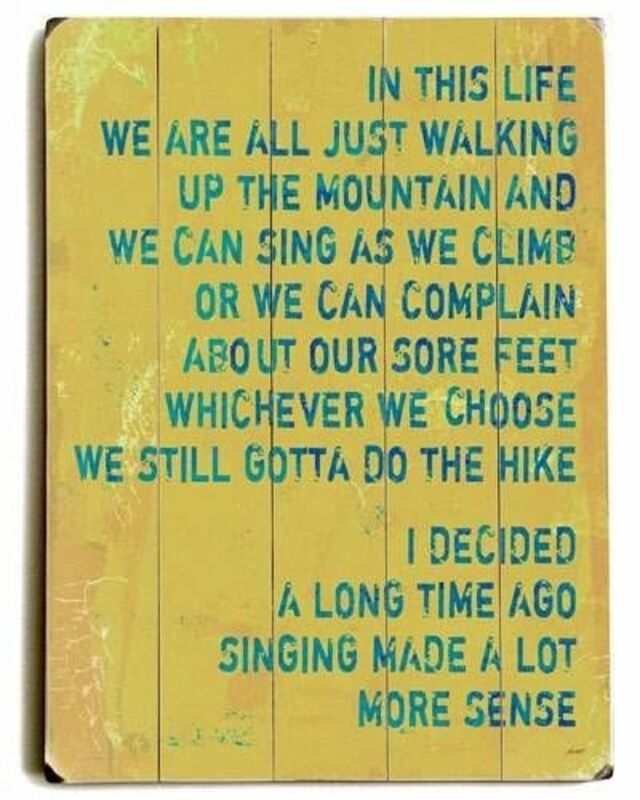 We can't continue to feel bad once we start singing! Good hub with lots of good points. Interesting, Audrey. I didn't know men and women's vocal chords differ in size. I guess that would also explain the difference in speaking pitch as well. Magnificent Mike - Yes, I'm determined to make a singer out of you. Then, when you become a big star, I'll help myself to a percentage of your earnings. :) Should have done this with several singers I've worked with. Thanks for your nice comments, including voting and sharing. Hi there. I'm so glad to see you here. So pleased to find that you're encouraged by my hub and like the tips I've left. Shower singing is the best! Hello Audry - You are always trying to get me to sing -Thanks. You have so much knowledge and have helped so many. I did a bunch of voting and shared.